Dr. Jean Garant Mendoza is passionate about helping people take care of their overall health. Therapy-IV Vitamin, Fast Detox Marbella Our approach is holistic – we look at all of the factors affecting your environment and we take into consideration all of the symptoms you may have. Make the necessary tests to establish the route of your problem and we then treat it from the inside, out. We specialize in natural (bioidentical) hormone replacement therapy. Long Life Clinic Therapy-IV Vitamin, Fast Detox Marbella is the only anti-aging clinic on the Costa del Sol, Spain dedicated to helping its patients to live a longer and healthier. Dr. Jean Garant Mendoza is the founder and owner of Long Life Clinic on the Costa del Sol, Spain. He is Canadian by birth and speaks fluent French, Spanish and English. 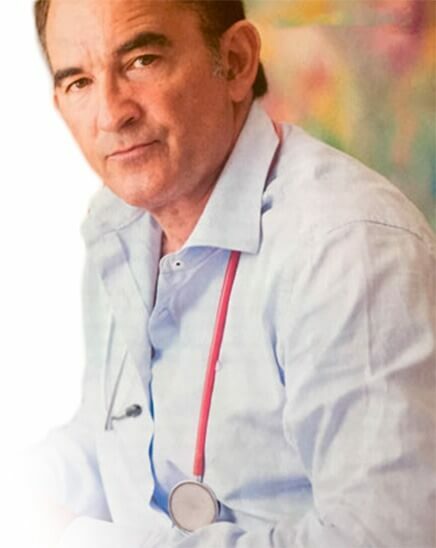 He studied medicine at the University of Medicine in Málaga, Spain and is a fully licensed physician. Following a period of working in the hospital environment and as a GP/MD, Dr. Jean Garant became increasingly disillusioned with the focus of modern medicine and the control exerted by powerful, multinational pharmaceutical companies. He realised there was a need for something different and decided to break away from this way of thinking. Dr. Jean Garant started to attend anti-aging conferences in the USA and throughout the world. Long Life Clinic (LLC) is the only anti-aging clinic on the Costa del Sol, Spain entirely dedicated to helping its patients to live a longer and healthier life through minimal use of chemicals.Our approach is holistic – we look at all of the factors affecting your environment and we take into consideration all of the symptoms you may have. We then conduct the appropriate blood tests (or any other tests necessary) to establish the route of your problem and we then treat it from the inside, out. Long Life Clinic was established in 1991 and in the time since then we have treated many patients.